This is a "coin block" messenger bag that features a "Big man" mushroom pocket inside. My Zelda Tri-Force bag. This one is quilted and fleece lined. Supergirl bag. They are lined in pink satin. Star Wars tote bags. These bags are huge. They were made from a Star Wars pillowcase. They both had two interior pockets on one side. Yoda was lined in green and Darth Vader was lined with navy blue. I recently made a couple Spider-Man totes that are very similar. Crocheted Mario pillow. I put a Boo on the back. This was my last big crochet project since I normally sew!!! 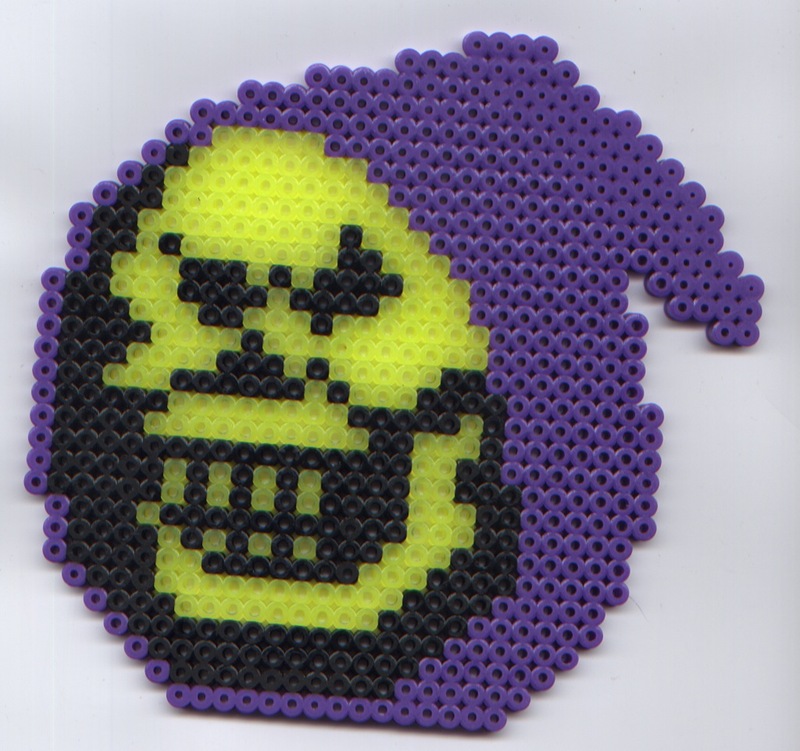 This is my pixelated Skeletor made out of Perler beads. I'm proud of him because I did the pixelating myself. I have also done a He-Man, an Incredible Hulk, and Arthur from the PBS cartoon because I think he's cute. I made this Princess Peach dress using a pattern for a Cinderella dress. I also made Super Mario's hat in this picture. I have some awesome friends! 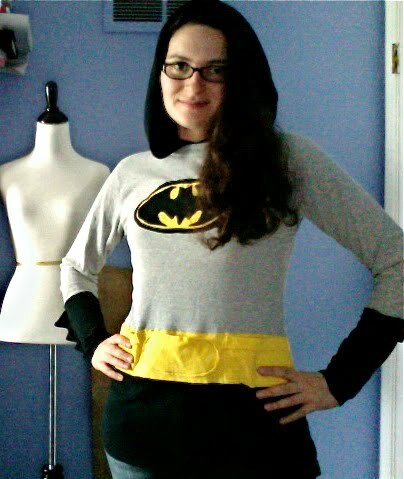 This Batman hoodie was made from 3 XXL reconstructed t-shirts as an homage to a girl who made one before me. The sleeves have spikes and the belt has functional pockets on it. I still haven't added bat ears to the top though! This is another tote bag I made, this time using Spiderman fabric. 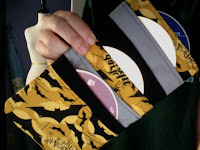 I also made a Batman CD case for my husband! These are hats I made for my daughter. The viking helmet is fleece and the weird elfish snow hat is crocheted. Love your work! How fun!